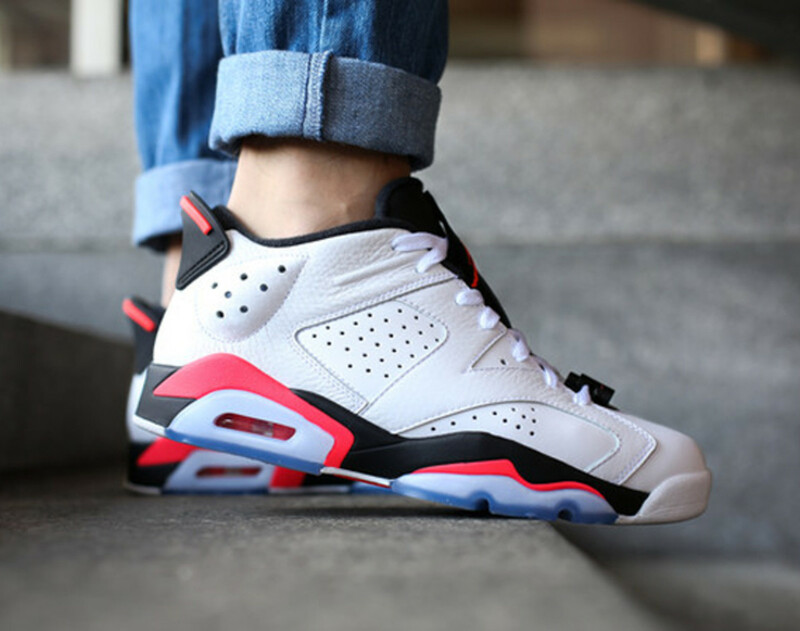 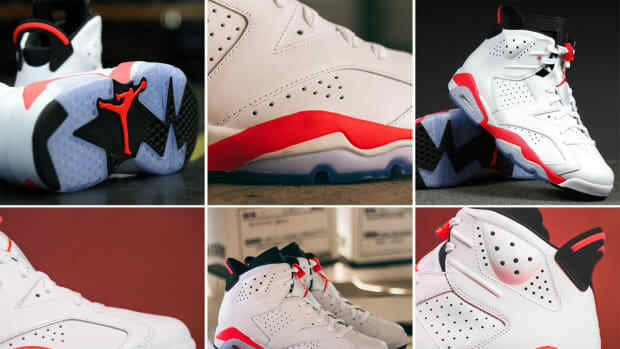 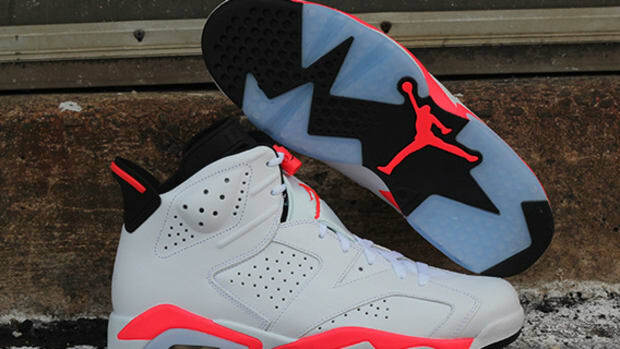 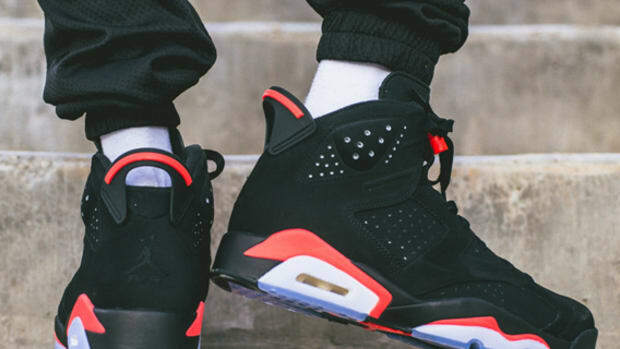 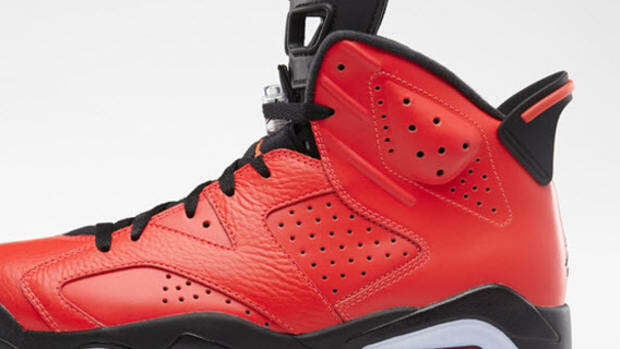 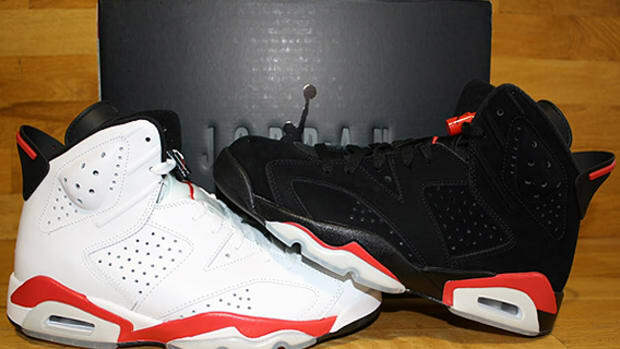 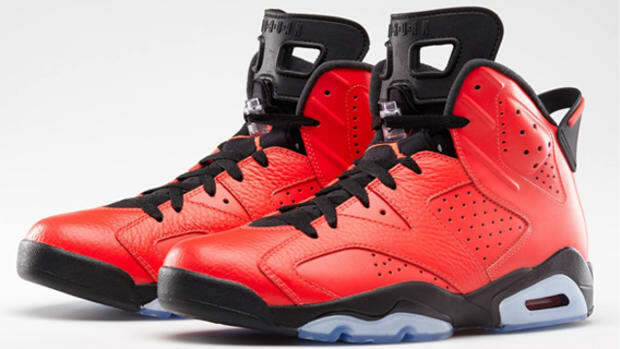 Air Jordan 6 Low "Infrared"
Jordan Brand has unveiled another low edition of the iconic Air Jordan 6 silhouette for Summer 2015. 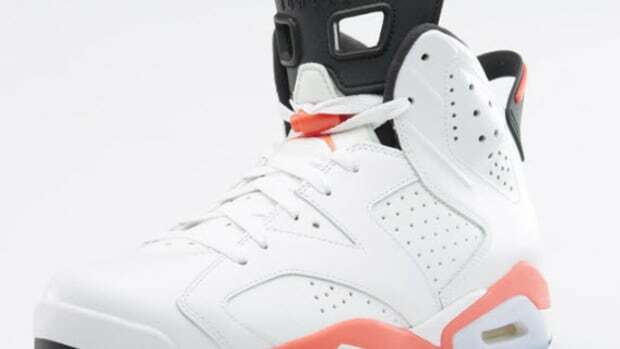 In the past few months, we&apos;ve seen a number of different color options for the popular model but this one just might take the cake. 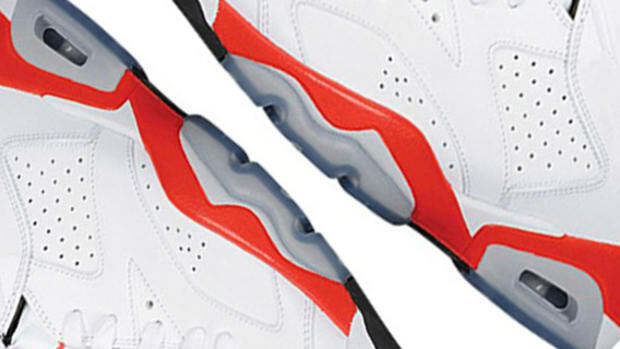 The perforated leather upper is dressed in white with black accents and features hits of Infrared at the midsole, heel tab and tongue. 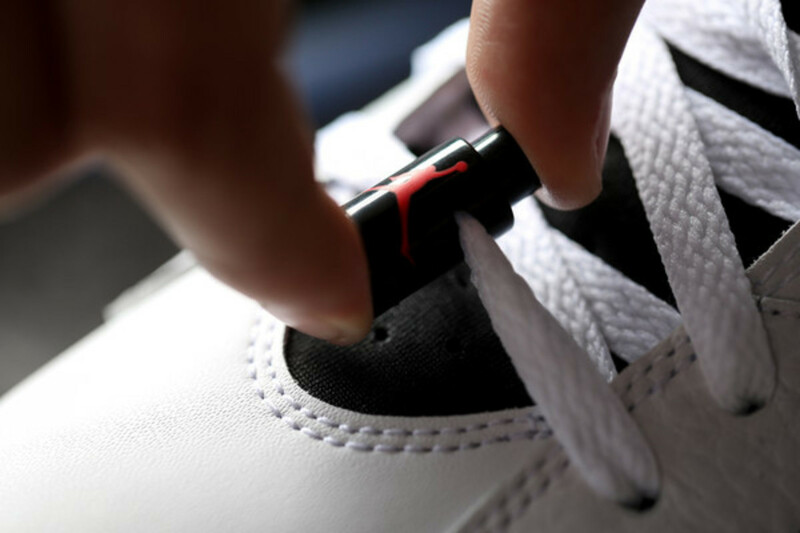 An icy blue translucent outsole and visible Air round out the design, wrapping everything together for the perfect warm weather look. 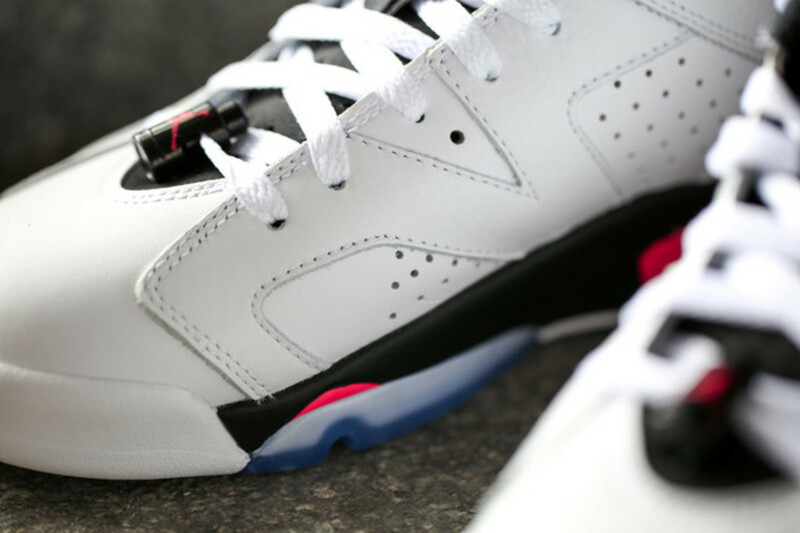 The Air Jordan 6 Low "Infrared" will be available starting July 4 at participating retailers, including AWOL.